A Job Loss condition is quite common today. My friend recently lost a job. He was in IT sector and he could not withstand the layoff. He is struggling to get a new job and also fighting to bring his finance in order. If you have recently lost your job and you are passing through bad time. Here are tips that will assist you to address your financial compulsion and keep your credit score intact, until you get your job or start a new business. The first thing you need to do is to take a stock of your finance. How much money you have in your kitty? How many months can you survive without any additional income? This will help you to decide the way ahead for job search. Once you identify this tally up your monthly expense and make survival budget. You should make your family aware of your employment situation. Thus they will help you out in controlling household expense. They will also suggest you way ahead of finding a job or generating a new source of income. If you find your finance situation very weak, you should prepare weekly cash flow plan. The advance forecast for expense will help you in arranging money for the requirement. The next tip is you should prioritize your expense and purchase only necessary items. As it is money crunch situation make sure your household expense are limited and as per your priorities. Divide your expense into two categories must and good to have. Spend your money on item defined in must category. This point is more or less similar to above point. You should avoid any unnecessary expense like entertainment, movie, and dine out frequently. If possible try to avoid extra tariff on the mobile phone. If you are not tracking your expense, you should start it now. This will help you in deciding and cutting your unnecessary expenses. It is generally seen that in job loss condition, people are in hurry to pay off debt. As per me, it is the wrong move. As you are not making money you should not pay off your debt. In case you need a loan you will not get it as you are not earning money. Stress and depression are common enemies that come when you are undergoing job loss condition. 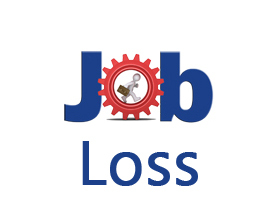 You need to be extra cautious about your health when you passing through job loss condition. Start daily exercise and Yoga to stay fit. If you have loss your job you should temporarily stop saving money. Once your monthly income is restored you can start saving again. As you don’t have any source of income in job loss condition, you should avoid excessive use of a credit card. Usage of credit card means increasing your debt. You need to pay credit card bill well in time else you have to pay several charges. In the condition of layoff don’t lose your temper, don’t spoil relation with your boss. keep up a good relation with your boss. The reference of your boss matters a lot in order to get a new job. You can seek a help from your former employer in order to get a job. You can directly approach them to get a job in the previous organization or you can ask them to help you in getting a job. As you are jobless it is time to network for new employment. Approach your friends, relatives and old collogue to get a new job. You can also choose to approach job consultant to get a good job. In case you have decided not to do a job in future, you can plan to become a self-employed. You can start a small business with help of your family or friend and generate good income. Never wait for a job. Find out an alternative option of part-time job or business. You can select any of online part time job or business idea in order to earn money. I am sure that above tips will surely help you in jobless condition. If you are seeking any help or if you have any query don’t forget to post it in a comment section given below.